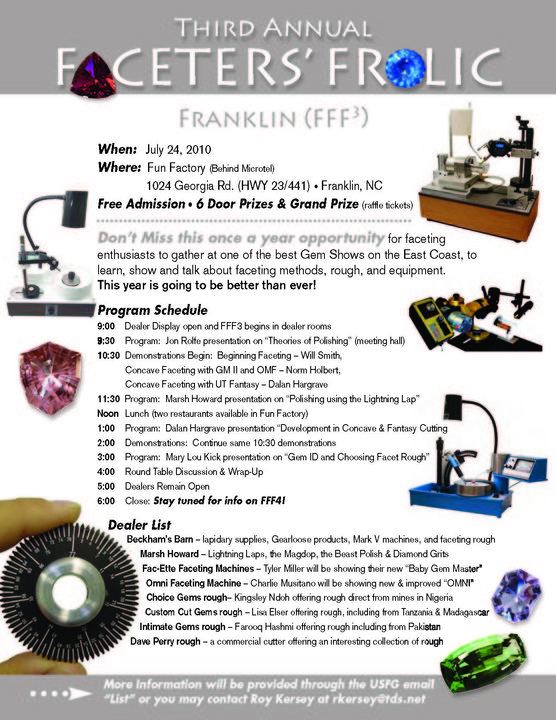 "FFF3" The Franklin Faceter's Frolic will be held on Saturday, July 24th , so perhaps there's still time to fit it into your plans - at the Fun Factory on US23/441 in Franklin, NC. It offers interesting "all day" lectures and demonstrations, including Dalan Hargrave in a "show and tell" about the Ultra Tec Concave and Fantasy machines. 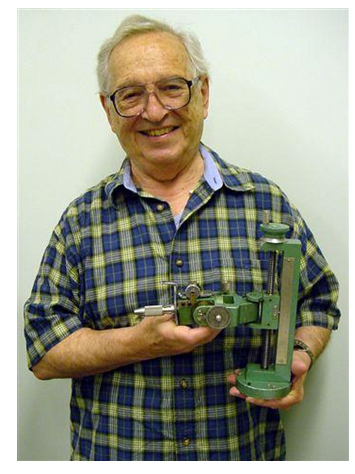 It was in 1965 that Howard Stanley, who developed the Ultra Tec, sold his first Production models. They were bright green, something that fell out of favor pretty quickly- perhaps there were twenty of them. In this picture, Joe is holding one of those old "oldies" which came our way - a 1965'er. It was interesting to see. It was used - but cared-for and kept clean - and it would still cut a stone if someone were so moved. There's not a part on it that hasn't been changed on today's machines more than once - well, I'd guess more than three times -- but this oldie embodies all of the concepts and principles that made - and still makes - Ultra Tec such a sound gem-cutting design. In June, during a trip to California to visit his son, Don visited the Ultra Tec factory--and Joe gave him a tour of the facility. 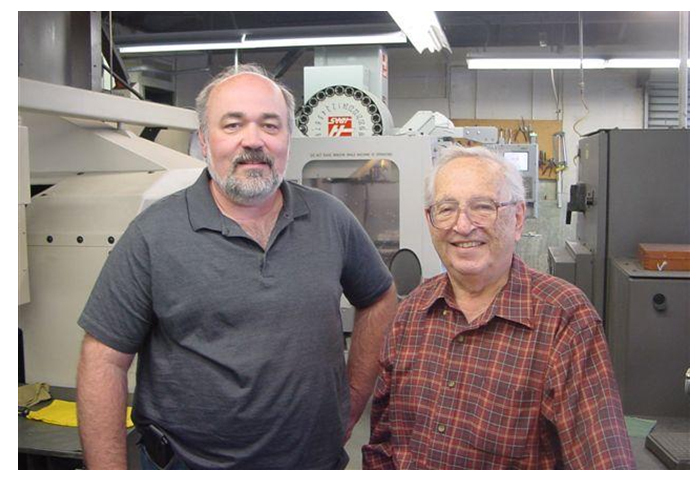 As you can see, this picture is in the machine shop - Don is an old "machine shop guy" and enjoyed a discussion about the precision of today's modern machinery as compared to what now seems like the "primitive" equipment of Ultra Tec's early days. Don drove from home and back on a sort of "grand tour" of the American West - a southerly route on the way to California, and a northerly route going home - and right about half way, there was Ultra Tec. We are happy to have added Dana Reynolds to the Ultra Tec Representative team. 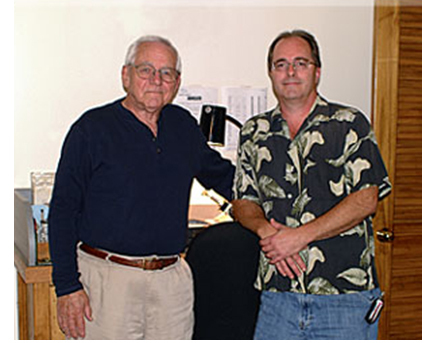 Dana, from Madison NC, now a Master Cutter in his own right, was lucky to have had none other than long time Master Cutter Paul Burton as his faceting mentor. Dana is in business with his father Frank - they are together in the photo. 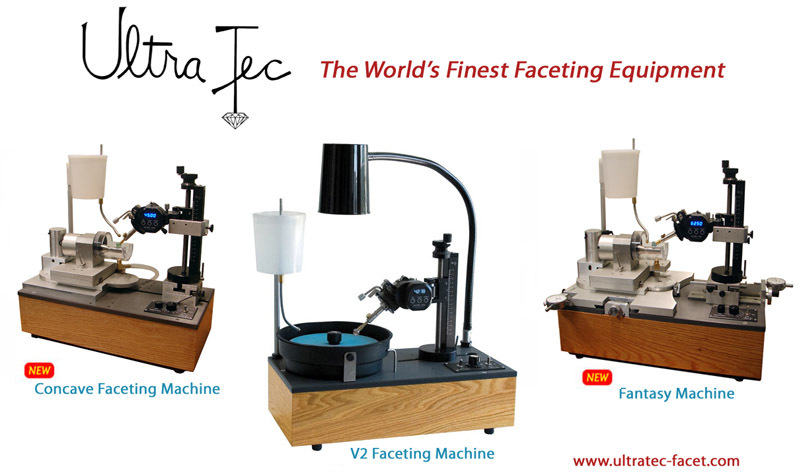 Dana has been cutting and collecting fine gem rough - and faceting on his Ultra Tec for over 17 years. Dana bought most of his facet rough from Africa (Frank, his father says he "wondered why we were getting 600-dollar phone bills from Africa?" 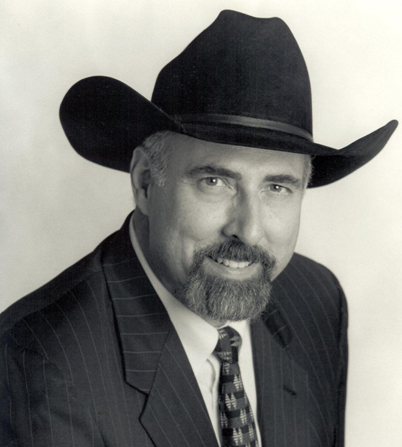 - it was Dana, "investing in the future".